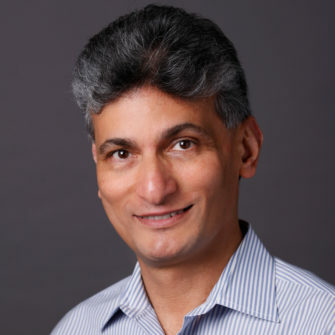 As Senior Vice President of Hosting at GoDaddy, Raghu oversees our industry-leading web hosting and web pro services business, driving best in class performance and service for millions of web developers, designers, entrepreneurs, and innovators to help bring their ideas to life online. He joined GoDaddy after more than 20 years in the tech industry, in addition to running a private consulting company. At Amazon he led the Kindle group with K-12 and college-level teams that delivered digital transformation to the classroom, as well as product development and Windows services. At Microsoft, he led the hardware and systems group for Xbox Kinect, driving end to end development of the system hardware. And at Intel he led teams focused on server and workstation product management, marketing, and market development. Raghu graduated from Madras Christian College in biology and chemistry, before earning an MBA from Golden Gate University. He and his family live in the Pacific Northwest where he enjoys outdoor adventures, reads avidly, and is a passionate cricket fan.